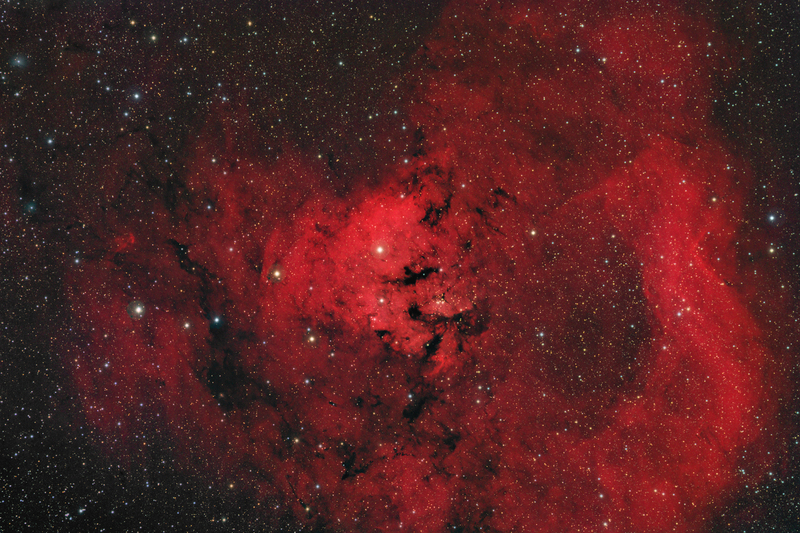 NGC 7822 aka SH2-171 is an irregular emission nebula in the constellation Cepheus. Other than providing data for the star colors, the green and blue filtered data didn't add much to the image. The region is mostly hydrogen, which was captured with the Hα filter and mapped to the red channel. This gives a result that is fairly close to a true RGB image.